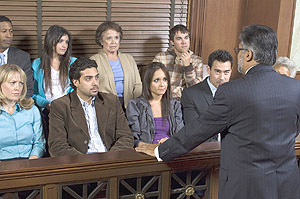 Our criminal lawyers will defend or prosecute our clients in criminal cases. We are familiar with important legal rules that people representing themselves would find almost impossible to locate on their own. Negotiating with prosecutors, often arranging for reduced charges and lesser sentencing. Formulating sentencing programs tailored to a client’s specific needs. Helping defendants avoid future brushes with the criminal justice system. If you are in Winnipeg and need someone who has criminal law experience, turn to the seasoned professionals at Boudreau Law Firm. Contact us today to get started.